One of our resident Viper Drivers, Pilot X, previously wrote, “there arguably is no better weapon than the F-16C Fighting Falcon…-” when it comes to a BFM engagement. I’m happy that he included the word “arguably” in that statement, because it is my intention to make a different argument. The F-16C is superb in the dogfighting arena. If I were a bad guy I’d hate to have to merge with one; but there are a number of strengths that I’d like to bring up that are inherent in my current fighter, the McDonnell Douglas (now Boeing) F/A-18 Hornet. X was able to elaborate on dogfighting accurately and concisely. It must have been pretty easy, because he only brought up one factor of aircraft performance during BFM: turn rate. The Viper is an enormously powerful aircraft. With over a 1:1 thrust-to-weight ratio at takeoff and a design that minimizes drag, it truly is a rate machine. But there are many other aspects of aircraft performance besides thrust-to-weight ratio and turn rate. 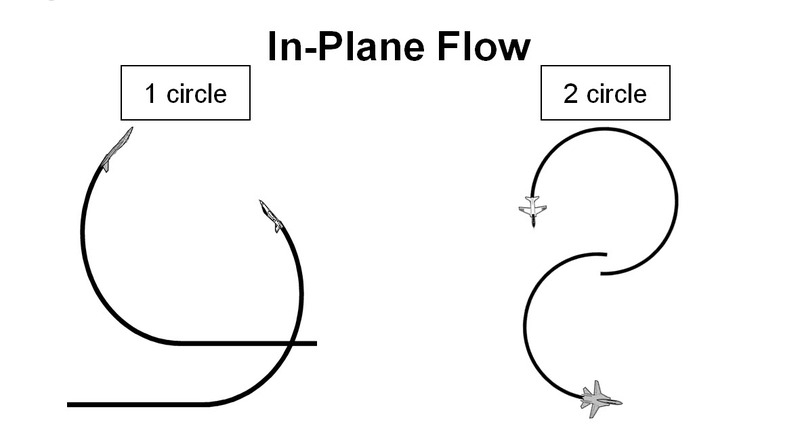 Specifically, turn radius is a very important component to BFM as well. In fact, I would say the Hornet has arguably the best turn radius of any fourth generation fighter. In a pure rate fight, the aircraft with the higher turn rate will win. In a pure radius fight, the aircraft with the smaller turn radius will win. 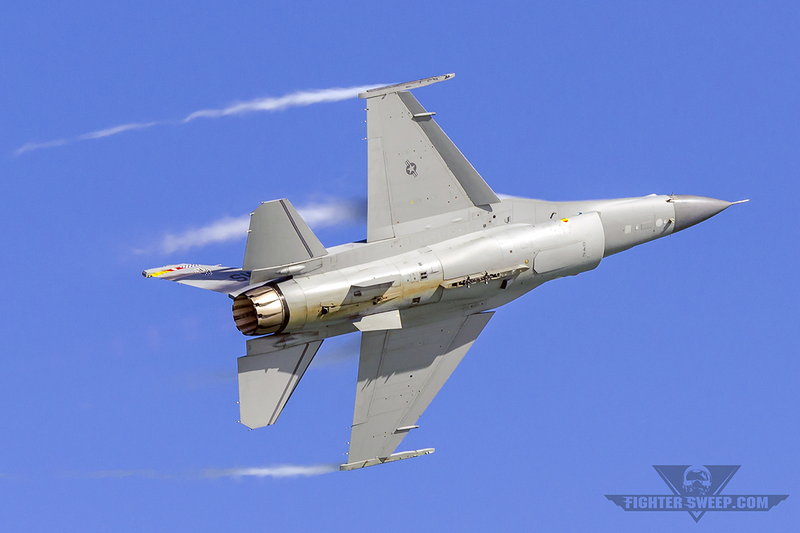 The Hornet, like the Viper, has a very high level of maneuverability. However, there are some advantages inherent in the Hornet design. It’s Leading Edge Extensions (LEX’s) combined with advanced flight control laws in the computers allow for carefree handling. This is especially important for flight at high angles of attack (AOA). This high AOA advantage is manifested in many ways, but two of the most important ways are in the form of slow speed handling and nose authority. The pilot has no AOA limiter and does not need to worry about any nasty stalls or departures from controlled flight. This is the Hornet’s biggest advantage. While the Hornet is no slouch in turn rate, it is definitely at a disadvantage compared to the Viper. However, most BFM engagements will get slow at some point as pilot’s spend their energy to take shots or gain a positional advantage. This is where the good Hornet pilot will look to force his adversary and go 1-circle and turn inside his opponent with the superior tight turn radius. Another capability is the ability to execute a rapid energy excursion, and trade energy for nose position. All fighter pilots understand this and use this technique in their own jets, but the Hornet does this exceptionally well. Since the nose position can be pointed well past the jet’s flight path (the definition of high angle of attack), the jet can sell a large amount of energy quickly to point the nose at will. In the vertical, the jet can take advantage of its high AOA abilities with a maneuver called The Pirouette. It looks like a zero airspeed hammerhead reversal, and can quickly yield a positional advantage when done correctly. Combine this with the high-off-boresight abilities of the JHMCS and AIM-9X, and you have a very lethal platform. The pilot has to be careful though, as a miscalculated energy excursion will leave the jet in a low energy state with limited follow-on options. That fact leads to another advantage for the Viper: the ability to regain energy quickly. After one of these energy excursions, the F/A-18 will have a harder time getting the energy back. This means that a very powerful jet such as the Viper is much more forgiving in dogfighting, especially for a novice. It isn’t hard to spend more energy than you mean to, so it’s great if you can get it back quickly. I’ve heard it said by pilots with lots of experience in both jets the Hornet can’t lose in the hands of a “surgeon.” It will give you whatever you want, but you have to be disciplined. Of course, all great fighter pilots know to maximize their own jet’s strengths and minimize its weaknesses while dogfighting, yet do the opposite to their adversary. Pilot X agrees that rate is just one of many variables in close-range dogfighting, but I decided to go one step further and elaborate on the big one he didn’t mention: radius. One thing that Pilot X and I won’t argue about is that in both of these phenomenal jets, it’s the skill of the “man in the box” rather than the jets’ performance that often decides who will win and who will die.